Google shocked the business world this past spring when it snagged Ruth Porat to be its new chief financial officer. But as the inside story reveals, the move counts as one of the Internet giant’s easier moonshots. The wooing began unwittingly early this year, when Google executive chairman Eric Schmidt visited Porat at Morgan Stanley (MS), where she was CFO. Schmidt had worked with Porat a decade earlier, when she co-headed tech investment banking at the firm and played a key role in taking Google public. He didn’t know her well, however, and his visit was purely casual. He didn’t tell Porat that Google’s current finance chief was considering leaving, or that Google (GOOG) would probably need a new CFO—a sophisticated, battle-tested veteran—to oversee a complex corporate restructuring. Members of the latest generation of high-powered Google alumnae, photographed in San Francisco in August. From there, a Wall Street–Silicon Valley nexus fostered the relationship. Porat phoned her friend John Mack, the former CEO of Morgan Stanley, for help scoping out opportunities in California, where she had grown up. Mack called his friend Bill Campbell, the Intuit chairman and Apple (AAPL) board member who is also a Google adviser. Campbell initially viewed Porat as a potential addition to Google’s board. But in practically no time, she was meeting with Larry Page and Sergey Brin to talk about the CFO role. The Google co-founders quickly agreed that Porat was “our one and only choice,” Schmidt recalls. Google announced its prodigious hire in late March. In an affectionate (and until now, not publicly disclosed) letter to Morgan Stanley co-workers, Porat said the move was “back to the future to another place that is creative, energetic and fun.” Arriving in May, she hit the Googleplex running. In July, reaction to the new CFO’s first earnings call added more than $65 billion to Google’s stock market value in one day. And Google’s August restructuring left Porat with even greater duties: She is now finance chief of not only Google but also its new holding company, Alphabet. With its blue-chip recruit (Porat’s pay package totals around $70 million), Google did more than boost its managerial firepower. It also put a stake in the ground—yes, Google does have powerful female execs! Google is one of six Fortune 500 companies (and only two in tech) with two spots on this year’s Fortune Most Powerful Women list. Porat shares the distinction with Susan Wojcicki, CEO of Google’s YouTube unit. Ruth Porat, SVP & CFO of Google & Alphabet, and number 26 on our list. The Morgan Stanley veteran has become the force behind Google’s restructuring. But the arrival of a high-level woman leader at Google also matters because it follows a string of high-profile losses—Sheryl Sandberg to Facebook (FB) in 2008, Marissa Mayer to Yahoo (YHOO) in 2012, Megan Smith to Washington, D.C., to become U.S. chief technology officer in 2014—along with other departures that inspired fretful commentary inside Google even when they didn’t make headlines. Red-hot startups such as Slack, Square, Stripe, and Uber have poached senior women, and these aspiring superstars are now applying their Google-gotten skills to fuel growth at other companies. To some observers, Google’s high-powered alumnae parallel the “PayPal mafia”—the group of onetime PayPal (PYPL) executives, including Reid Hoffman and Elon Musk, who went on to create LinkedIn (LNKD), Tesla Motors (TSLA), and other multibillion-dollar companies. While the PayPal mafia was a mob of dons, though, the ex-Google gang is dominated by donnas: In fact, no other tech company comes close to Google in developing female leaders. 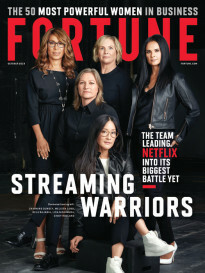 To find out what these women have in common—to isolate “the Google Effect”—Fortune interviewed more than 25 current and former Googlers, scattered across 20 companies, asking them what Google taught them and what impelled them to leave a company that perennially ranks as the world’s best workplace. We learned that they gravitate to companies that are, well, Google-like: mission-driven, data-centric, and fast-growing, with empowered employees unconstrained by traditional ways of business building. Yes, gender does influence what they leave Google to do. And they require one more thing that they’ve grown accustomed to: a corporate culture where women have the opportunity to thrive as readily as men. Google’s rank-and-file gender-diversity stats are not very good. With a 57,000-person workforce that is only 30% female, Google ranked below eBay (EBAY), Facebook, HP (HPQ), and other tech giants in a recent Fortune survey. Women comprise 18% of the company’s technical talent and 22% of its leadership. The imbalance reflects Google’s emphasis on hiring and promoting engineers—still a mostly male lot—and senior management acknowledges that the situation requires attention. Still, to their credit, Google’s founders strove to create a diverse workforce from the beginning. According to Wojcicki, Google employee No. 16, Brin and Page wanted diversity “baked in” from the outset; a gender-balanced environment would be “a more interesting place to work and a place where people would want to spend more time,” she says. Schmidt calls Wojcicki “the mother of Google”—and she has played an essential role in making it a place where women thrive. In 1998, Wojcicki rented her garage to the two Stanford grad students as they were hatching the company. She was a well-paid, satisfied marketing manager at Intel when Page and Brin asked her to join their fledgling business. “Larry and Sergey told me they would match every benefit that Intel had, and they’d provide child care,” Wojcicki recalls. Wojcicki, now 47, was the third woman to join Google and the company’s first pregnant hire. She has spent most of her 16 years there building its core ad business, which generates the bulk of Google’s revenue, and building YouTube into a $4 billion business—all while having four more children. “Susan has it all, and she’s so down to earth,” says Katie Stanton, Twitter’s VP of global media, who worked for her at Google. After delivering baby No. 5, a girl, last December, Wojcicki took 14 weeks’ paid maternity leave and still has four weeks left to use, thanks largely to her own push for generous parental benefits. Susan Wojcicki, CEO of YouTube (and employee no.16) at Google, and also number 19 on our MPW list. The brains behind Google’s core ad business is now trying to tackle the tech gender gap. As a keeper of Google’s culture, Wojcicki has felt the onus to improve its diversity. One place she can make a difference is product management. Product managers are the mini-CEOs who bridge the technical and business worlds to steer product development from conception to launch; Wojcicki has final say on those hires across the entire company. While the mother of Google has never considered leaving (“What would I get out of that?” Wojcicki says), most other female stars at the company eventually exit. Why? “Career aspirations,” speculates Schmidt, speaking from experience. Schmidt remembers when Sandberg told him, in 2008, that she was quitting Google, where she was vice president of global online sales and operations, to become No. 2 to 23-year-old Mark Zuckerberg. “I said to her, ‘Why would you go to Facebook?’ ” Schmidt recalls. But he realizes now, “She hit the limit of what she could do at Google.” A company can be taken from small to big only once: Moving to Facebook enabled Sandberg, now 46, to do it twice. Interactive timeline “Google’s rise and the women who rose with it” by Analee Kasudia. Click the red circles and black bar on the bottom of the timeline. “No team has ever had too many strong performers,” Sandberg says. Lining up successors is also about “building your bench,” a crucial leadership skill. 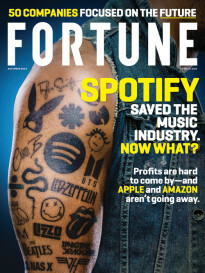 Here’s why: A company that owns the world’s largest digital-distribution platform can make smart employees think they’re smarter than they are. Google’s vast user base turns successes into blockbusters; the monetary fruits of the hits cushion the blows from the misfires. “It’s a wonderful luxury,” says Chang. “Google teaches you so much, but it also buffers and protects you.” Sukhinder Singh Cassidy, former president of Google’s Asia-Pacific and Latin American operations, agrees. The challenge for ex-Google entrepreneurs, she says, is “to create a flywheel that can succeed without that juice.” Cassidy, 45, spent six years at Google until creeping bureaucracy led her to quit in 2009. She headed social-shopping site Polyvore briefly and then started Joyus, a video-shopping service that she hopes will be the next HSN or QVC. She has 60 employees—two-thirds of them female—and has raised more than $40 million. In August, Yahoo agreed to buy Polyvore for an estimated $200 million. The acquisition represents a homecoming of sorts: Lee is a star graduate of the APM—associate product manager—program that Marissa Mayer created at Google to train entry-level techies to move into management. Lee says she learned from Mayer what a CEO’s true job is: “to support and empower employees.” This fall, Lee and her Polyvore staff are moving to Yahoo’s Sunnyvale, Calif., campus, where elements of the Google culture—free food, quarterly performance reviews, Friday all-hands meetings hosted by the CEO, and, yes, a version of the APM program—are part of the Mayer regime. In one sense, Porat’s ties to the women of Google predate Google. Her father, a physicist and engineer who spent 26 years at Stanford’s SLAC National Accelerator Laboratory, worked there with Stanley Wojcicki—father of Susan. And when Ruth was 6 years old (before Susan was born), she swam in the pool at the Wojcickis’ home in Palo Alto. Her own ties to the tech sector run just as deep. Porat serves on the board of trustees of her alma mater, Stanford—where Google lead director John Hennessy is president. So far at Google, she is both student and teacher. Schmidt and the Google co-founders had not figured out the details of their new corporate structure until Porat arrived; since then, “she’s been all Alphabet structuring all the time,” he says. Porat directly oversees some 6,000 Google employees—three times as many as at Morgan Stanley—because the new job includes people operations and real estate, in addition to finance. While Porat’s hiring is a sign of Google’s maturity, it also shows the company’s prowess at attracting smart people whose careers are perpetual growth engines. Porat’s late mother, a practicing psychologist and an accomplished author, shaped her approach to work: As Porat wrote in her Morgan Stanley farewell letter, “My mother told me always to find subjects that inspired me, view all paths as open, never let anyone say I couldn’t do something.” Her latest move gives her many new paths to explore—and makes her a powerful role model for aspiring leaders in tech.